Cosmétiques naturels pour le soin du visage à base d'huiles végétales, d'huiles essentielles et d'eaux florales ou hydrolats. 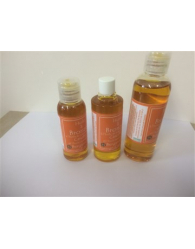 Dry Skin Oil (Huile peau sèche) Hydrating, soothing, healing oil for dry skin, face and body, to massage on the interested area. Tanning oil For skin already accustomed to the sun, this oil is a mixture of vegetable oil apricot kernel (moisturizing, nourishing, soothing) and oil of macerating carrot roots with essential oils of bergamot (without bergapten), grapefruit and palmarosa.The tanning oil contains no sunscreens. CLEANSING FACIAL MILK The cleansing milk is made with lavender floral water (purifying), apricot kernel vegetal oil (moisturizer), and essential oils of geranium pink. Gel After Sun Calming of heartburn and reddening of the sun, sweet on the skin. Apply regularly after each exposure to the sun, maintains the tan. 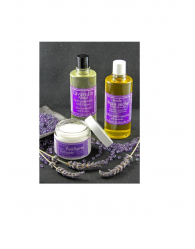 It is made from argan oil, jojoba oil, apricot kernel vegetable oil, and french lavender essential oil. 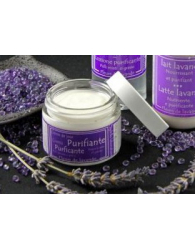 PURIFYING MASKNourising, cleansing, purifying mask for face with essential oils of lavender and palmarosa. Hairs oilThe hairs oil is vegetable oil, macadamia and essential oils of rosemary and ylang-ylang. Nourishes and invigorates the hair growth stimulando and blocking the fall. Not fat, wecan use a few drops on dry or wet hair. OIL DARK SPOTS Erica maceration oil in apricot kernel oil. Allows you to lighten the dark spots of the skin. Rose Oil Hydrating, nourrishing, anti-age skin oil, to massage on the interested area. 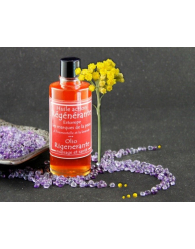 Regenerative oilEssential oils of geranium, lavender, melaleuca and Italian helichrysum oil, St. John's wort, used to stimulate skin regeneration and restore a smooth skin with no marks or scars. Gel cleansing and purifying facial A facial cleanser with floral water of lavender and lime: perfect to end the daily cleaning of the face. Purifying Facial LotionFloral water of lavender, mint, savory and melangolo bitter essential oil. 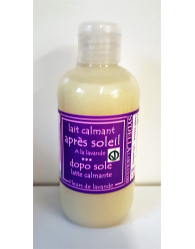 After Shave Lotion This lavender floral water is soothing, purifying, antiseptic, healing, disinfectant, and allows to find a soft after use of the razor. Does not contain alcohol or preservatives added. Rose Facial LotionLavender floral waters and pink, with rose essential oils, palmarosa, rosaeodora rosea, pink geranium. 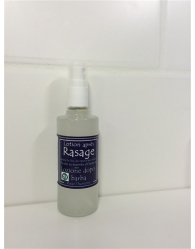 Effective for sensitive skin with couperose.Does not contain alcohol, preservatives, dyes or added. Eyes refreshing water Floral water of cornflower and melilot, has an amazing effect. The cornflower, known for its anti-inflammatory eye level, is here associated with the sweet clover, which is calming and active on the circulation of the blood capillaries. After depilation Gel After depilation gel with essential oils including lavender (healing, soothing, purifying, antiseptic) and chamomile, soothes the redness of waxing and extends the effect slowing hair growth.